I just finished watching the finale of American Idol (warning: spoilers ahead!) – my nap time ritual for the past several months. I think on the whole that Idol did a good job filling their two hour time block – it could have been cut shorter for sure, but there were some amazing and memorable performances filling those two hours. 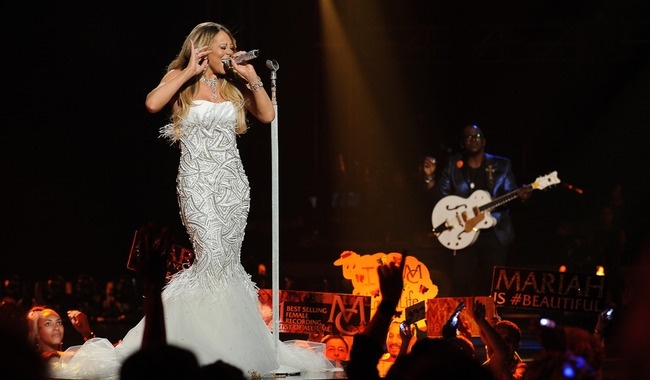 Mariah Carey’s performance was one of my favorites – I love that she did a bunch of snippets from older songs that really highlight how amazing her career has become. After all, this is what these girls are striving for really. Mariah is one of the Idols I looked up to growing up and while I didn’t personally enjoy her as a judge, I always enjoy hearing her perform. She looked beautiful and sounded amazing as usual. It was so nice to see Angie back on stage and to watch her sing with Adam Lambert, one of my favorite contestants of Idol past (and I know I’m not alone there), and then with Jessie J (her Idol) was amazing. I think this was a great visual reminder that “losing” Idol is not really losing. Adam has done very well for himself and it looks like Angie’s career is already off and running! 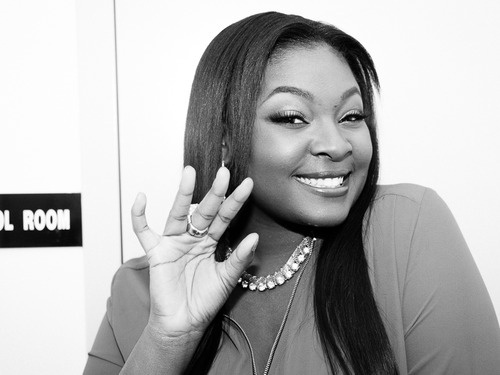 In the end, Candice Glover was crowned the Season 12 American Idol winner and I am so happy for her! 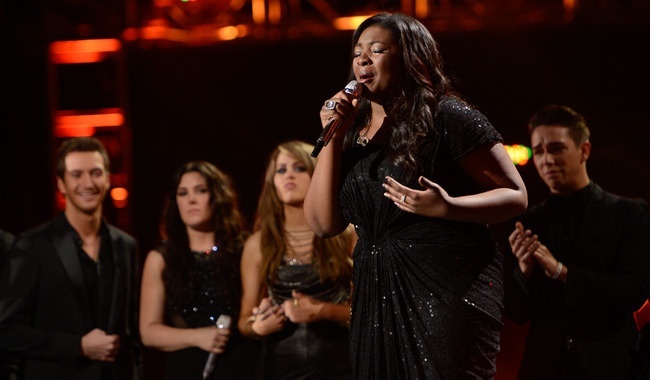 Candice has such an amazingly powerful voice and she has delivered some of the best performances of Idol history. She is so very deserving of this win. And I don’t see this as a loss for Kree Harrison at all – I truly loved both girls equally this season and I look forward to hearing their future records. I’ve said it before and I’ll say it again – while this might not have been the best season of American Idol with a poor choice of judges over all and a few too many crazies lingering well into the show, among other things, one thing that Idol got right this season was finding Kree, Candice and Angie – these girls are amazing and truly worthy of their Top 3 status this season. Congrats, really, to all of them! Who was your favorite contestant this season? Who’s looking forward to a break from my Idol Thoughts for awhile? Who thinks there should be more cake? 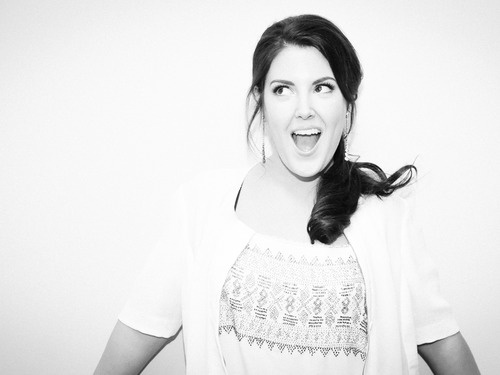 It’s the Final Week of American Idol’s twelfth season and the amazing talent of Kree Harrison and Candice Glover (two of my personal faves all season) has been overshadowed lately in the news by talk of the hot mess that is Idol these days. With all four judges basically being let go, along with executive producer Nigel Lythgoe, Idol has been making big promises to change the show for the better in it’s thirteenth season. Which means a lot of people, myself included, have been thinking about ways to make Idol better. This begs the question, what is wrong with Idol, specifically and how do we solve those problems? How do you solve a problem like Maria a reality show becoming basically a rude, zit faced teenager with attitude problems and an identity crisis? After hearing that Dancing With the Stars is smartly dropping it’s results show episodes next season, I immediately thought “Idol should totally do that, too!! !” And clearly I’m not alone. I really think the entire results show could be covered splendidly in a 2-5 minute block at the beginning of the next week’s episode. I like the idea of a sudden death round mentioned in Annie Barrett’s article on EW. Heck, they could even make it an online exclusive for Idol fanatics who want more Idol in their week than the average viewer? Give the rest of us the recap next week in case we forget to read spoilers online. I think Idol needs to think about what separates them from the other reality music competition shows, lest they find themselves copy catting their competitors who are admittedly doing pretty well for themselves. I like the team aspect on The Voice with coaches instead of judges, but maybe that isn’t the right fit for Idol. What makes someone an Idol, as opposed to just an awesome singer? Think about those differences and find a way to make them part of the show. Maybe there could be a new take on theme weeks like make your own music videos on youtube or conquering the paparazzi with a stellar interview. Let America vote for who does the best job tackling ALL the aspects of an Idol’s career. 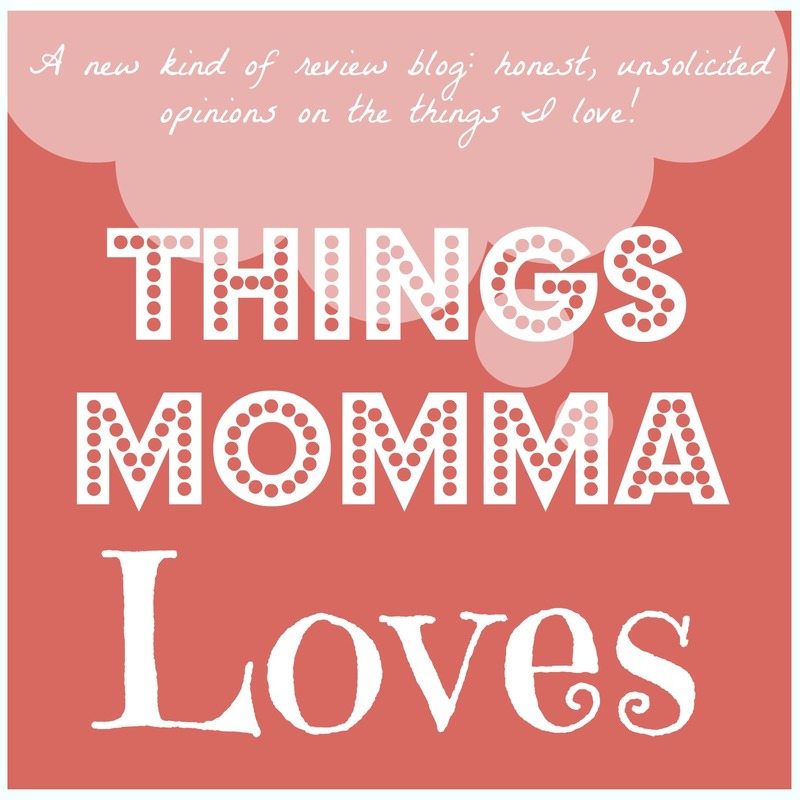 Less drama for momma, please. My least favorite thing about American Idol is the crazy auditions – I know it happens and some of it is funny, but I think that auditions should be like one million times shorter in Idol watching time. Give us one episode maybe and then skip to Hollywood Week – and trim the fat a bit when choosing contestants. Stop giving people golden tickets just because they are a hot mess train wreck that you think America will get a kick out of. Ratings gimmicks are played out and I don’t think I’m the only one who deletes Audition Week episodes from my DVR and waits for the actual talent to show up. Let the judges give REAL criticism, no MAKE them do it. Find judges or coaches or mentors or whatever that actually want to help improve the careers of the contestants on the show. I don’t want to watch Nikki and Mariah, or whatever divas you bring on next season, make passive aggressive threats to each other via their feedback or listen to Mariah name drop by way of not saying much of anything except that she’s her own biggest fan. Don’t just give the feedback that your producers have told you that you are going to give for the sake of your ridiculously excessive salary – because all of America can tell when you are being a big huge fake. Let America make up their own damned minds and just tell the truth and give real feedback. I’m personally getting a little tired of the blatant product placement and marketing orgies. The Ford Music Videos are sometimes fun but the whole thing doesn’t feel genuine anymore – it just feels like paying the bills. If you are going to do over the top product placement and marketing, make it more awesome. Or don’t do it. In general, I think Idol needs shorter shows and less of them each week, shorter auditions footage, more genuine judging and less blatant product placement and time wasting. All that aside, who is excited about the Finale this week? Regardless of what Idol may be getting wrong, America got one thing VERY right – the Top two contestants are both amazing and totally worthy of winning this competition. 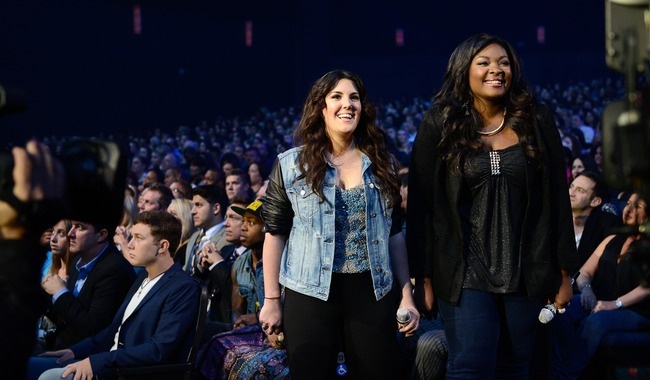 Good luck to Kree and Candice! May the best Idol win! Who is your favorite in tonight’s Finale? What changes do you think Idol should make next season?